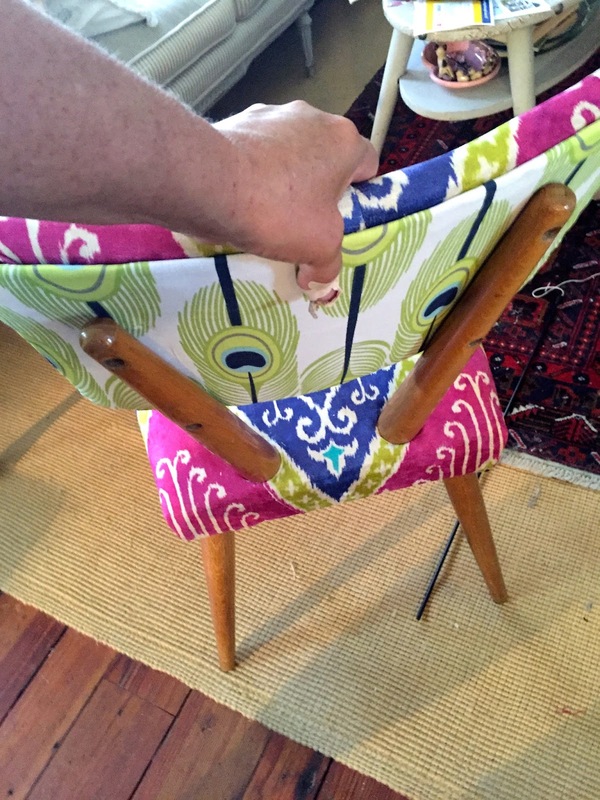 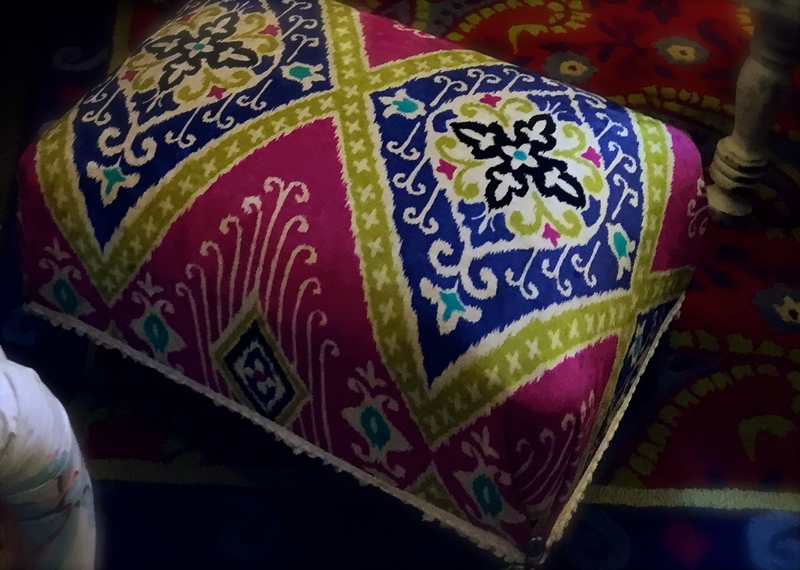 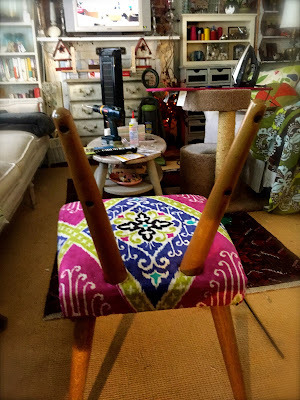 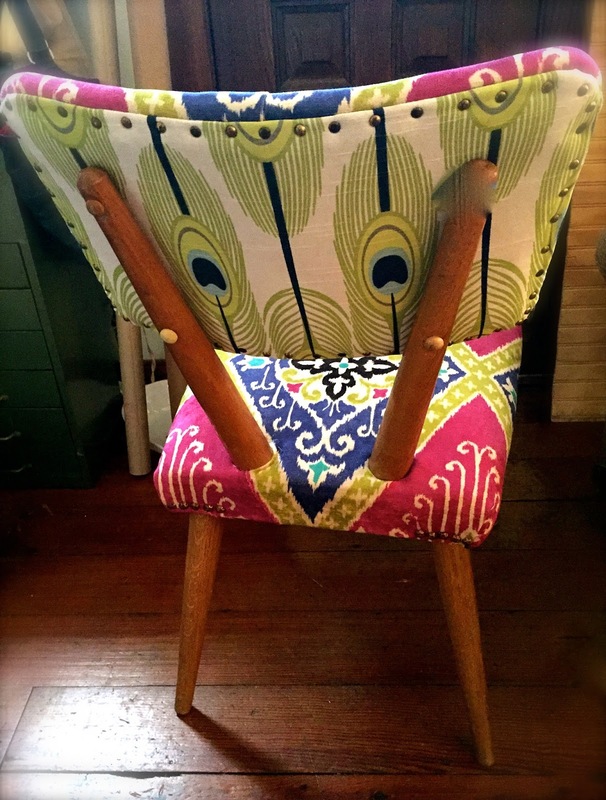 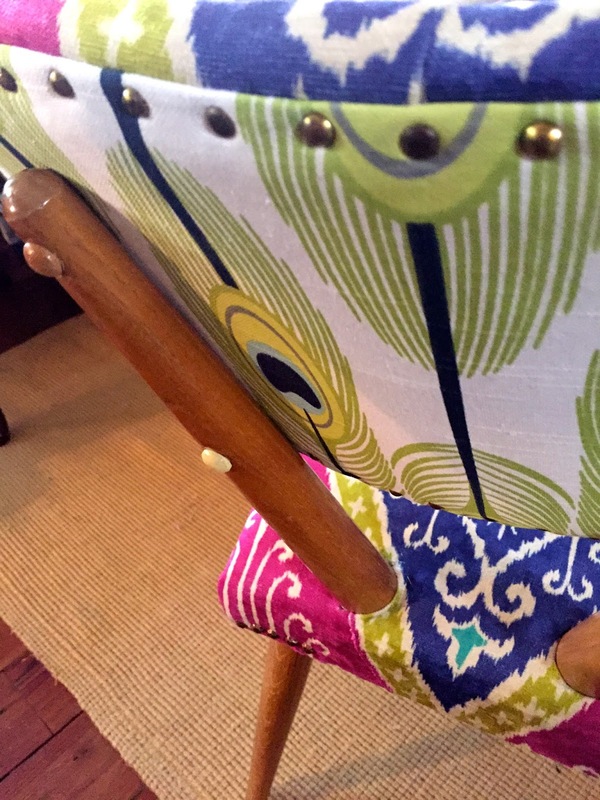 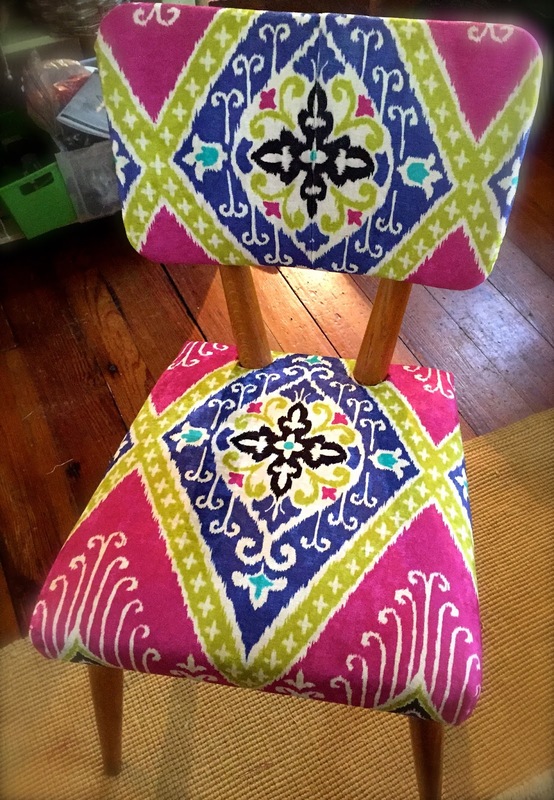 SheShe, The Home Magician: Colorful Ikat Remnant+ Mid Century Modern Chair = Nirvana! 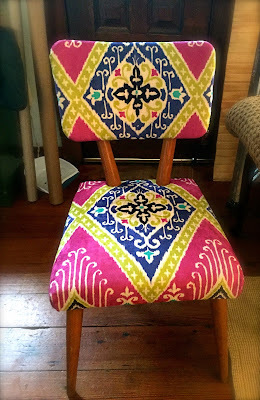 Colorful Ikat Remnant+ Mid Century Modern Chair = Nirvana! 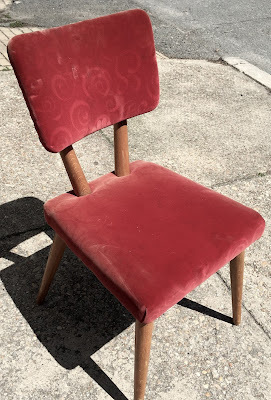 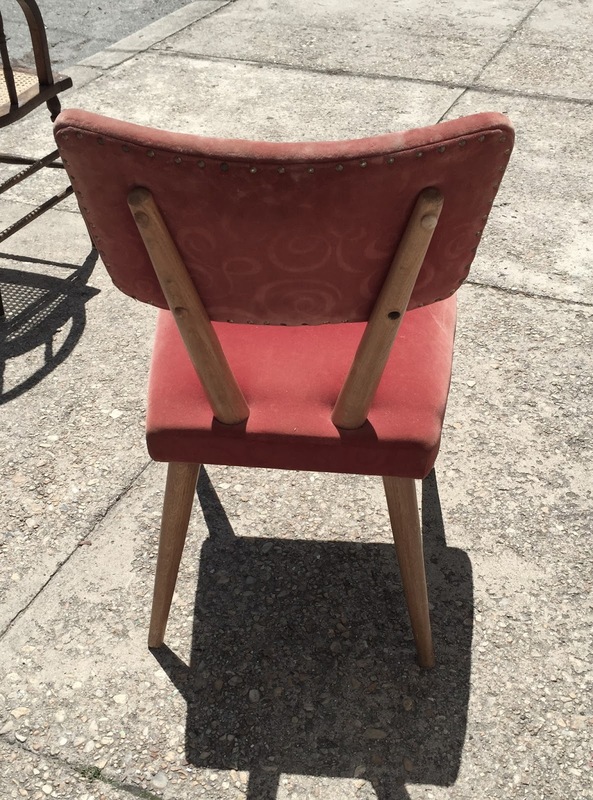 My neighbor, Frances, gave me this chair recently. 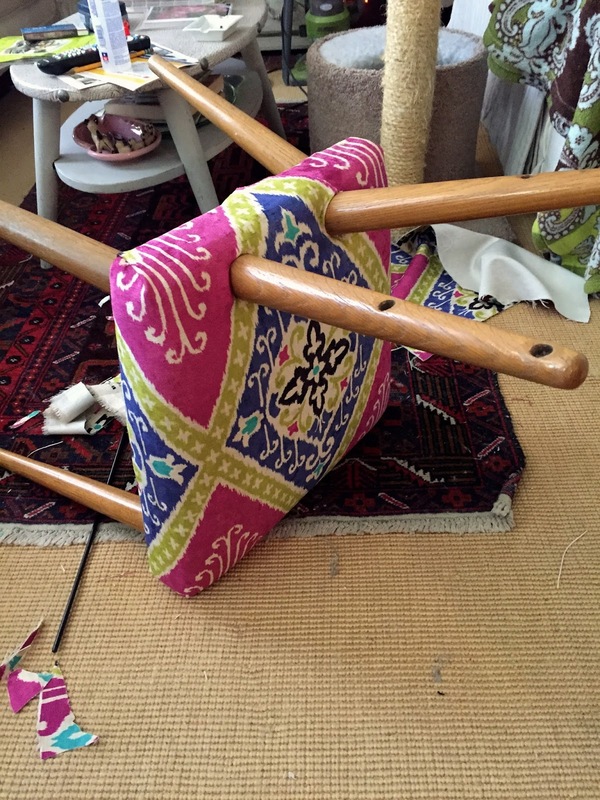 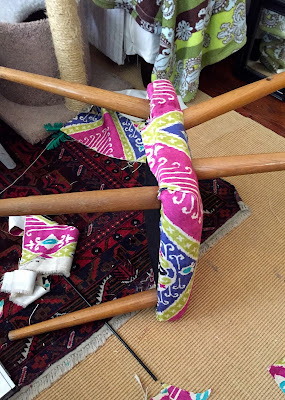 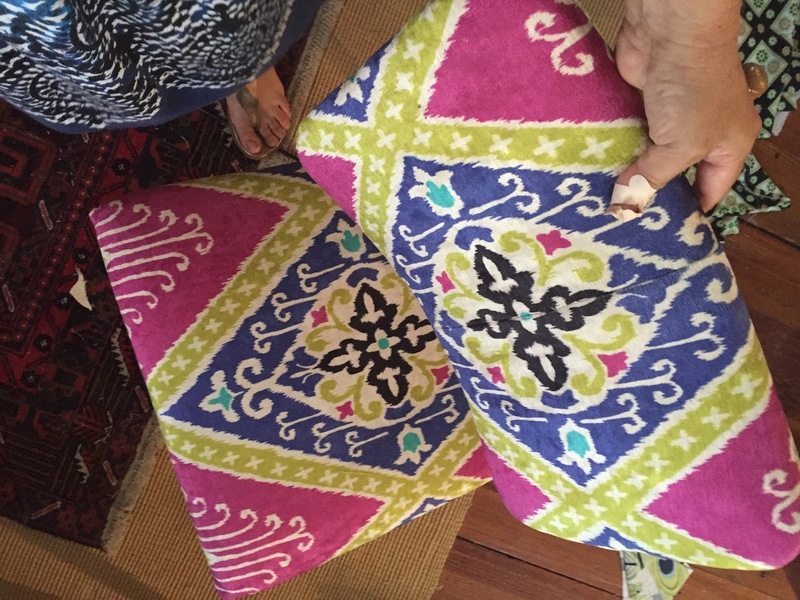 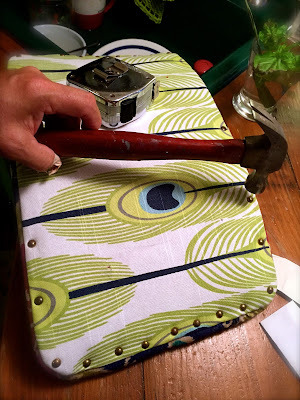 I was sort of digging the lines……..
Oh, but I had an ikat remnant that will be perfect…. I reupholstered the bottom, stapling along the bottom edges. 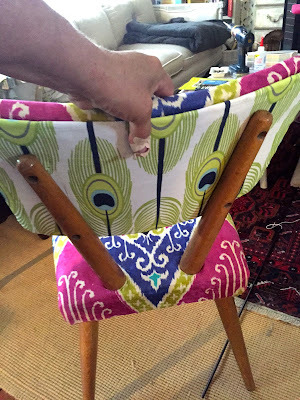 I used another remnant in this "peacock feather" design. that's because I stapled it earlier……working on the seat bottom. Detail of the nailhead trim.